Oh look what we have here, looks like Kokonotsu Shikada is getting an employee even though he can manage his family-run dagashi shop by himself. But then again, Coconuts will have to go to school so the shop is closed throughout the day, so it’s nice to have someone tending the shop while he’s away! 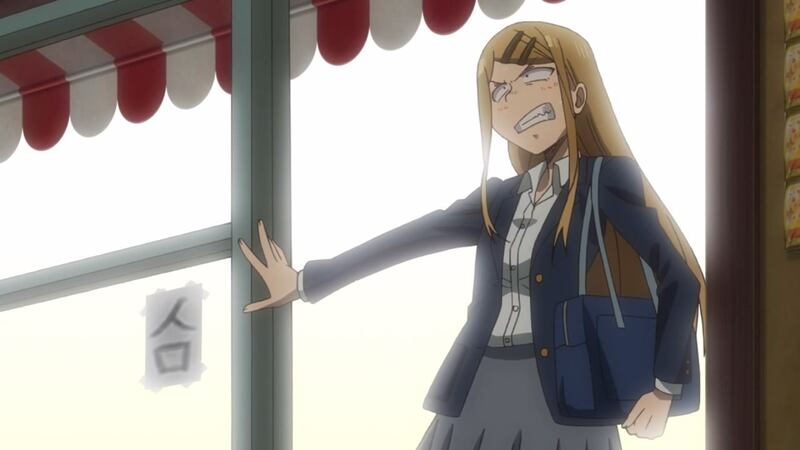 Anyways, this is Hajime Owari who is seeking work because she got fired at a nearby convenience store. Y’know, the one where Beni Yutaka is the manager who loves convenience stores. 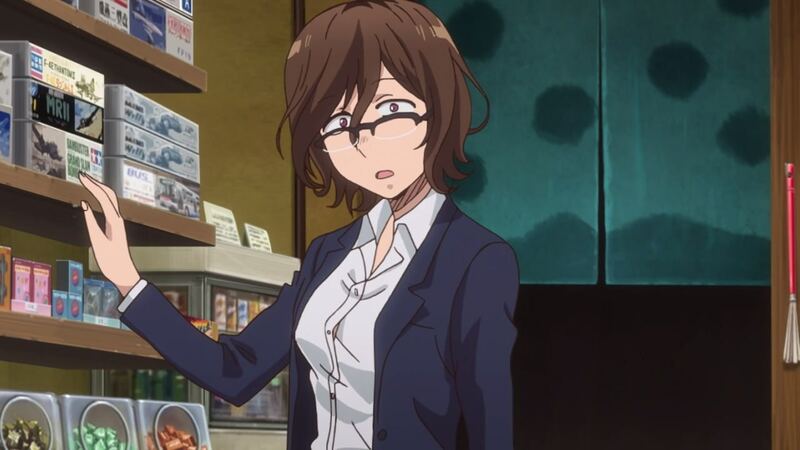 But yes, it seems that Coconuts knows that Hajime-san worked at that convenience store, and she’s very desperate on finding a job because Hajime Owari got kicked out at her apartment. Well, since Kokonotsu Shikada is always out during daytime, he decides to hire Hajime Owari as a part-time worker and let her stay at his house for the time being. 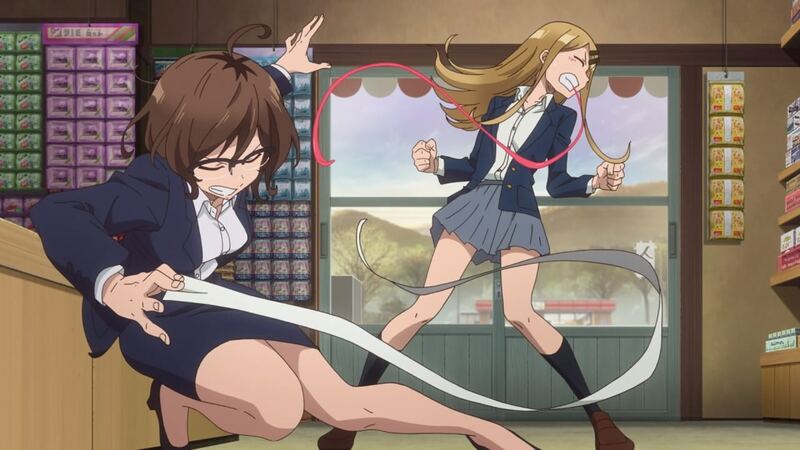 However, some people are suspicious of hiring a stranger, let alone a female one, as Saya Endou paid a visit to the Shikada Dagashi shop to find out. Unfortunately, Saya-chan saw a sleeping Hajime Owari instead of Kokonotsu Shikada. Hey, isn’t a bad habit to sleep on the job? Then again, this shop rarely has customers so Hajime-san spends most of her time taking a nap. 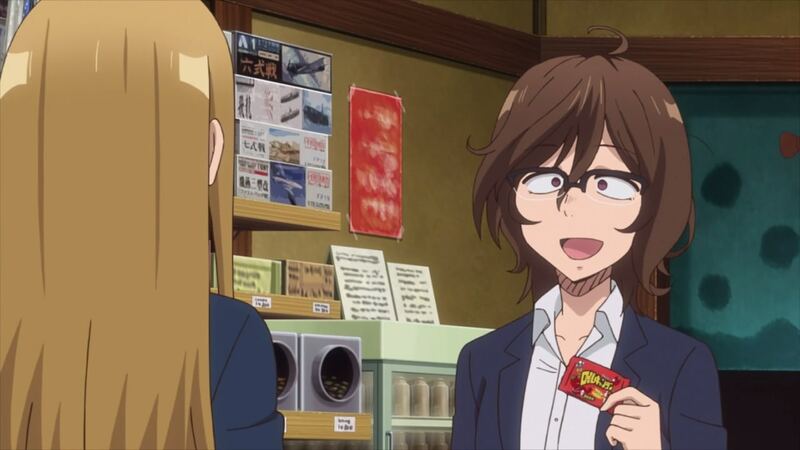 But anyways, Hajime Owari is delighted to see he first customer a she recommended a dagashi called Roll Candy, which is very popular recently according to Coconuts. Unfortunately, Hajime-san is a newbie when it comes to Japanese candies so the only way to find out is to open its contents… once Saya-chan pays it. And it turns out, this Roll Candy looks and tastes good as Saya Endou made a big pull just to eat it. 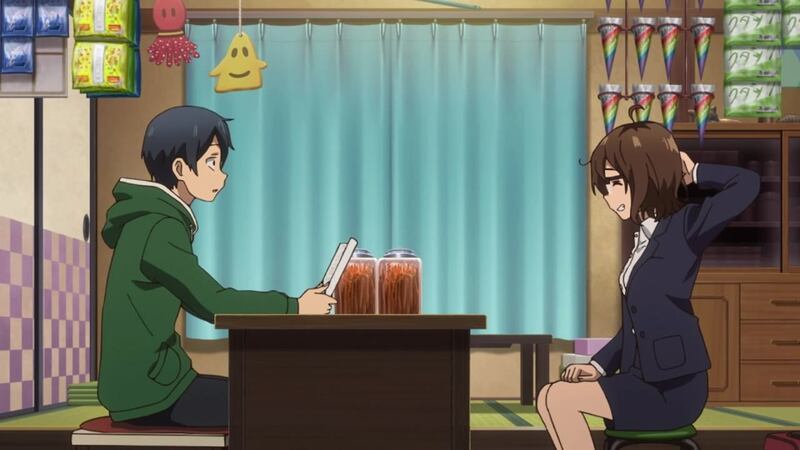 Well, seems that Hajime-san is doing good on her first day at work so far. 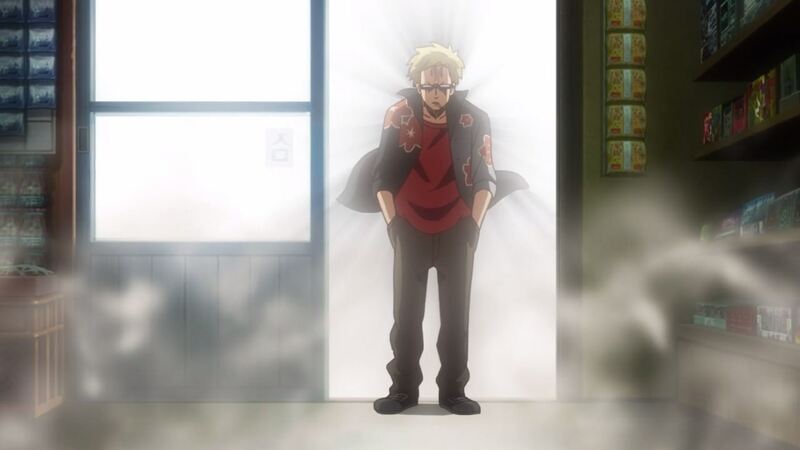 …especially towards the new meat Hajime Owari instead of Kokonotsu Shikada. Tou-san is expecting to have Kokonotsu play along but he’s currently out. Well, that was awkward for him as Tou Endou dropped the cigarette and he doesn’t know how to act towards Coconuts’ new part-time worker. 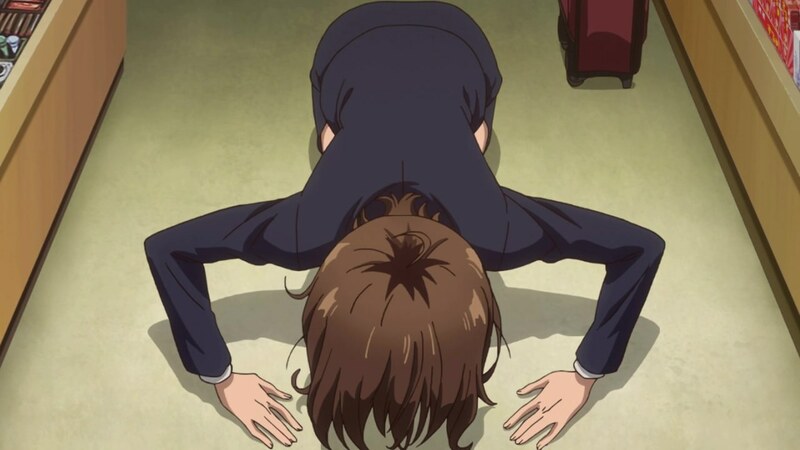 Um Tou-san, just act normally next time! And that’s about it for Episodes 7 and 8 as Shikada Dagashi has a new employee. 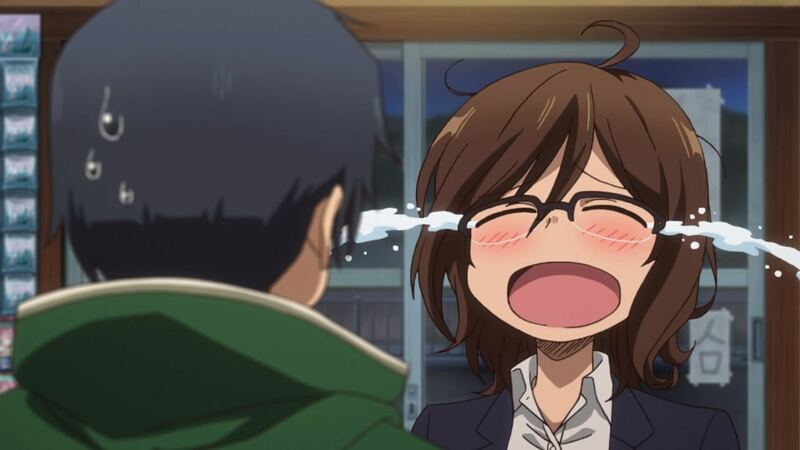 Then again, I still miss Hotaru Shidare… Where art thou, Hotaru-chan?